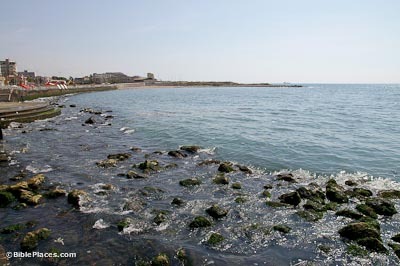 Most of ancient Sidon lies buried beneath the modern city of Saida. The ancient city covered an area of about 40 acres, from the Castle of St. Louis on the south to the harbor on the north. People came from Sidon to hear Jesus’s teaching, and later he travelled through the territory of Sidon (Mark 3:8; 7:31). 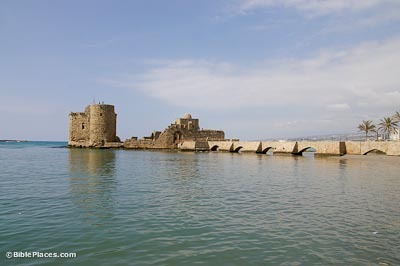 The Sea Castle completely covers an offshore rock at the entrance to Sidon’s northern harbor. 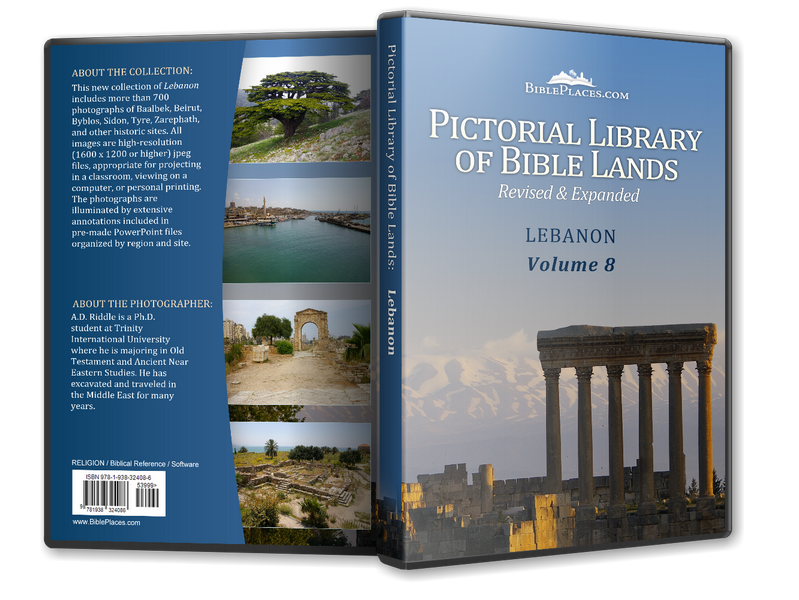 It is thought that this island was the site of an earlier temple dedicated to the Phoenician god Melqart. The castle was constructed by the Crusaders in 1227-1228, and was later altered from dismantling by the Mamluks, from rebuilding by local rulers, and by the British bombardment in 1840. The Castle of St. Louis was constructed by the Crusaders in 1110-1187. It was named for Louis IX of France who led the 7th and 8th Crusades. There is no evidence that Louis IX ever stayed at Sidon. The Castle of St. Louis is also known as the Land Castle, to differentiate it from the smaller Sea Castle. 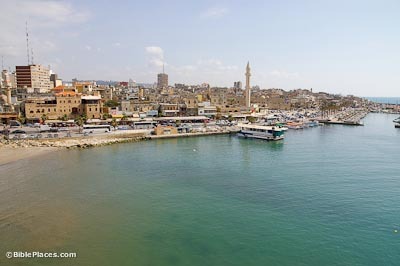 Sidon had two main harbors: the northern harbor, and the Egyptian, or southern, harbor. Only the northern harbor continues in use today. The Egyptian harbor is a semi-circular bay. There is no evidence that harbor-works (quays, jetties, moorings) were constructed here. Sidon Excavation Official website of the current excavations conducted by the British Museum. 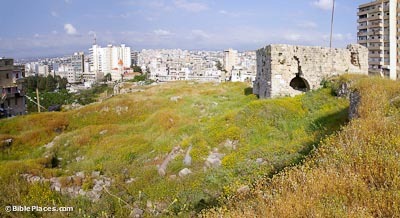 Saida or Sidon (LebanonEguide.com) Provides an overview of Sidon’s history and links to descriptions of sites in Sidon. Saida (Sidon) (Association of Travel & Tourist Agents in Lebanon) Describes Sidon’s history, excavations, and the modern city.